The hosts for World Routes 2017 are pleased to offer a range of complimentary tours to help delegates to explore the city. You'll find out a whole host of details about the history of modernisme as you wander through the magnificent "Quadrat d'Or" heritage district which is a true architectural showcase. 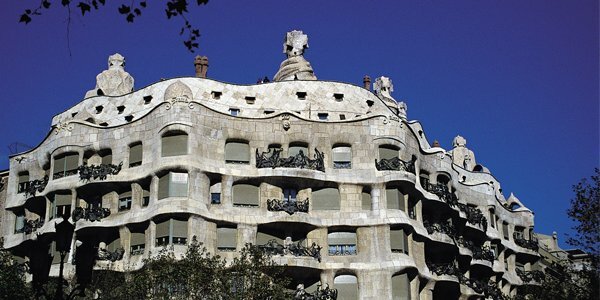 From here, you'll be able to admire the majestic Casa Batlló, the amazing Pedrera and other modernista architectural gems, including the Casa Amatller and the Casa Lleó Morera. You'll also visit the beautiful Museu del Modernisme de Barcelona, which will help you better understand the age of splendour of this artistic trend in Catalonia through an illustrative exhibit. If you want to find out about the historic events in the oldest part of Barcelona, don't miss this walking tour which will reveal the most splendid period of the Catalan capital and its culture which can still be seen today. Every step of the tour is full of history, charm and magic. This guided tour will explain the history of Barcelona from Roman times to the medieval period while you walk through the Gothic Quarter, which has a charm all of its own with its narrow, cobbled streets, wrought-iron street lamps and buildings that comprise hidden corners you can lose yourself in.